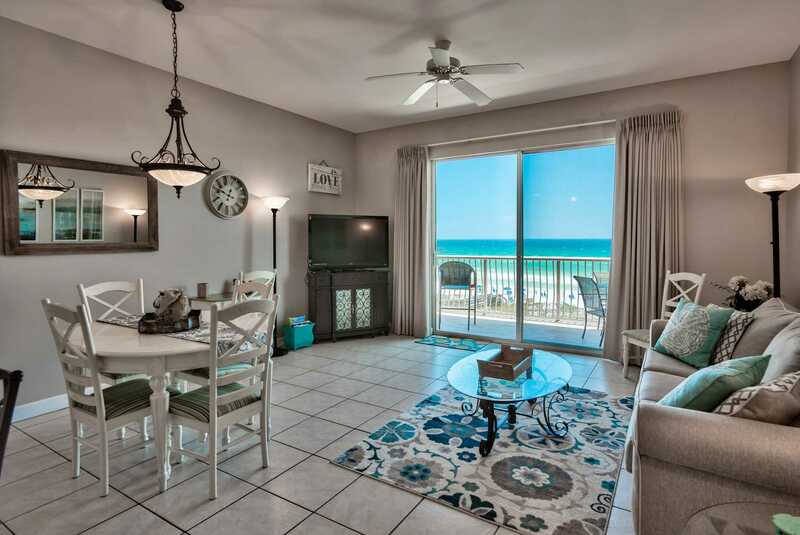 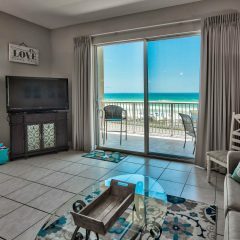 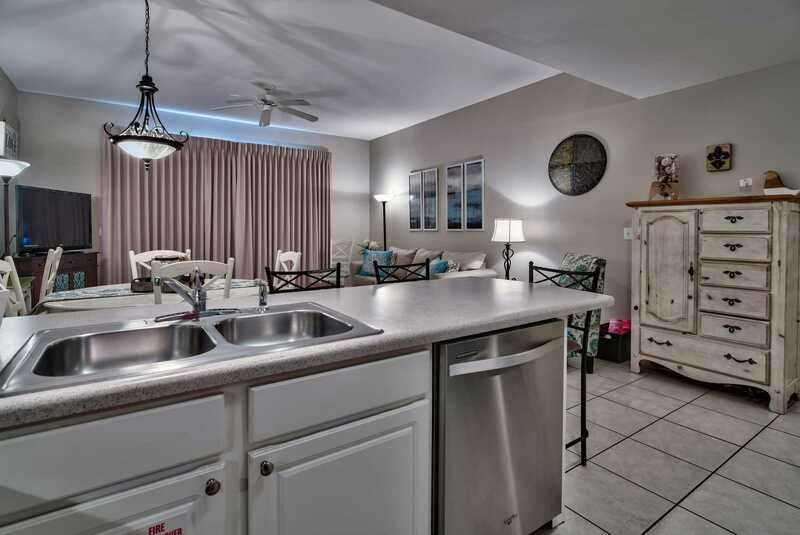 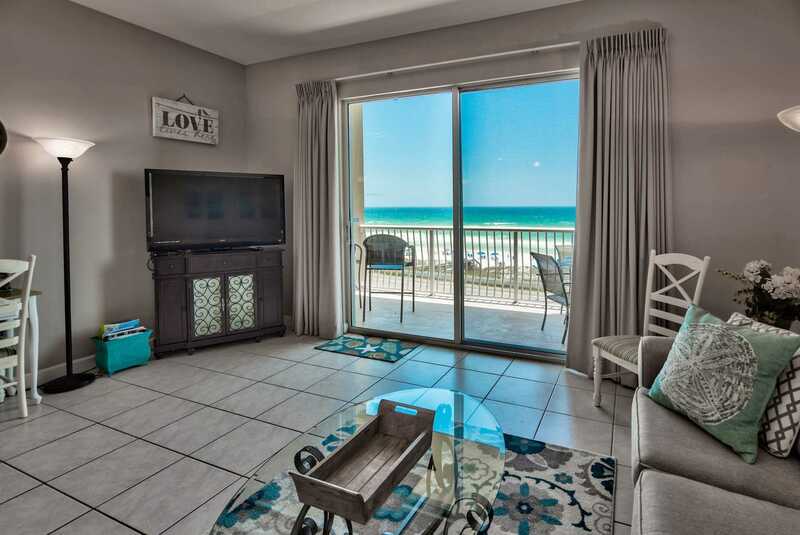 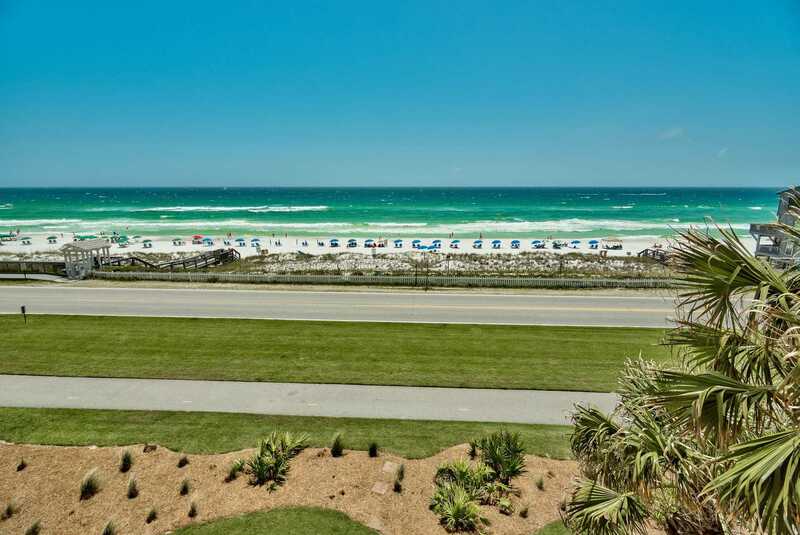 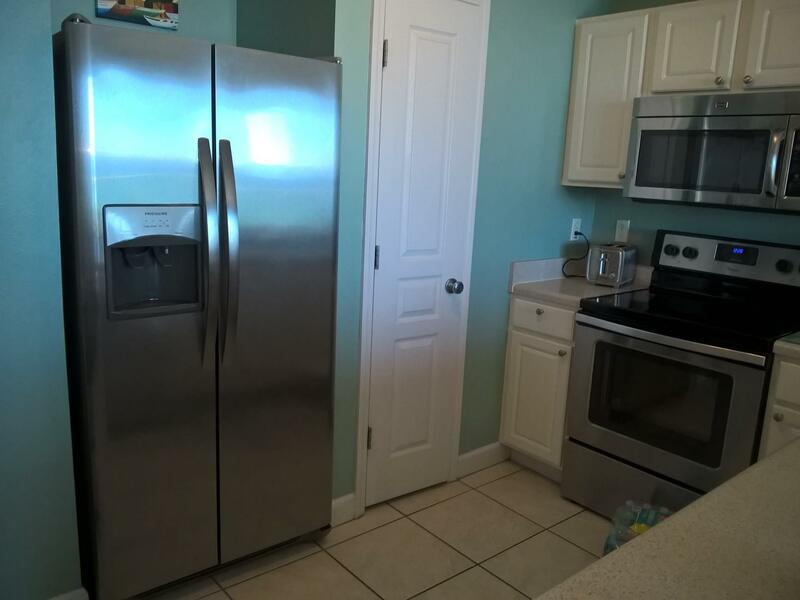 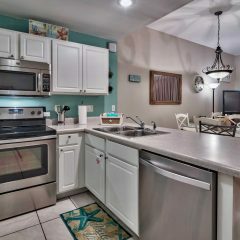 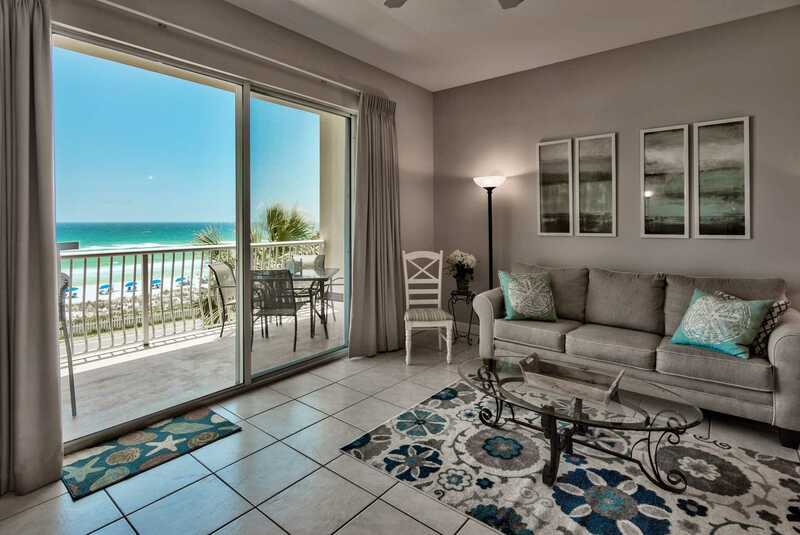 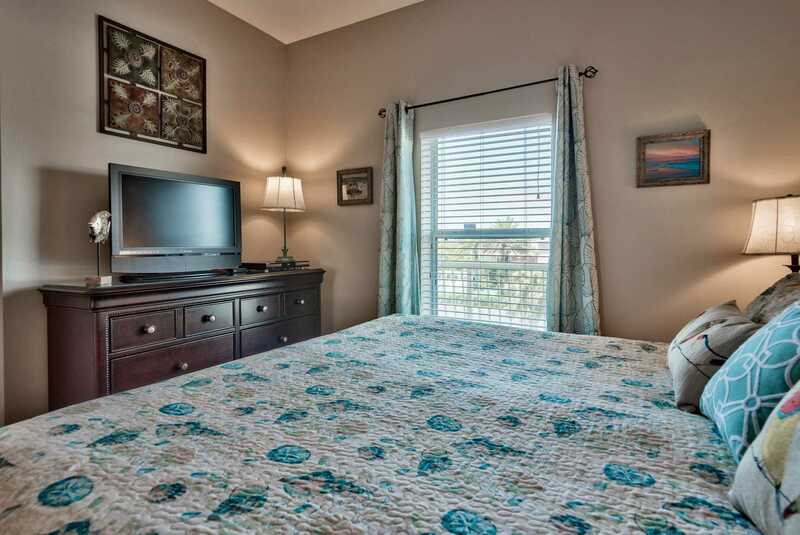 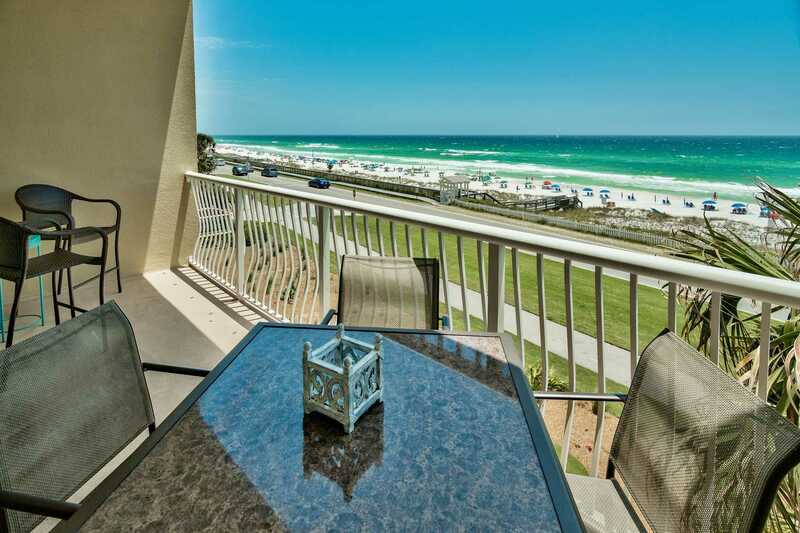 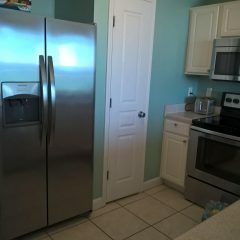 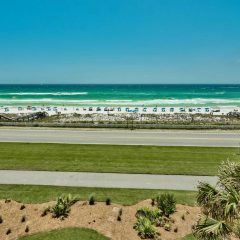 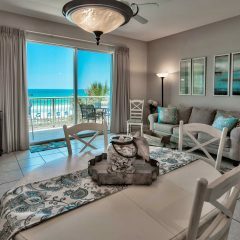 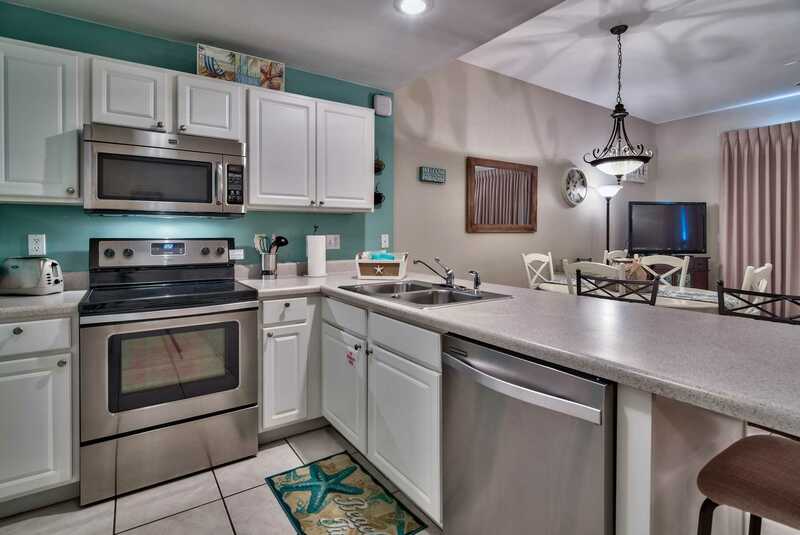 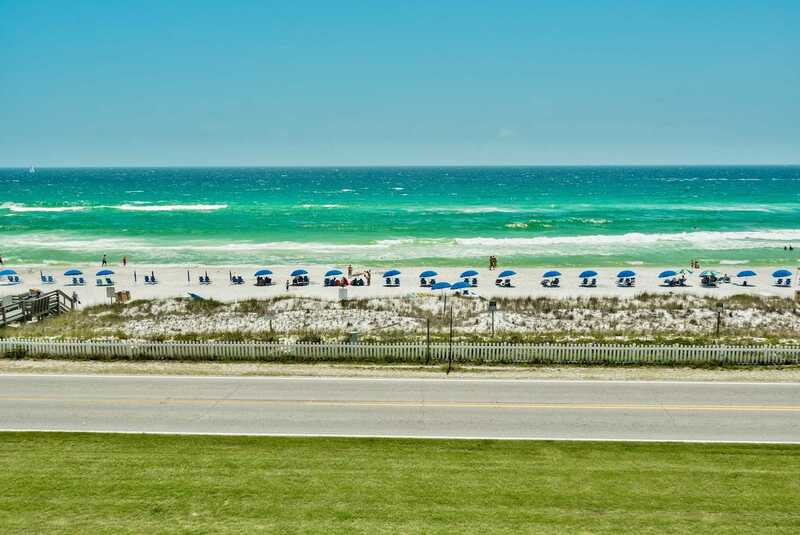 Beach Retreat #305 is a two bedroom unit with a wonderful view of the ocean and all the amenities of Beach Retreat. 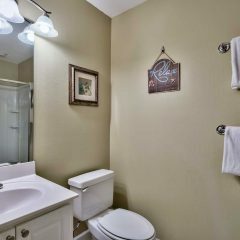 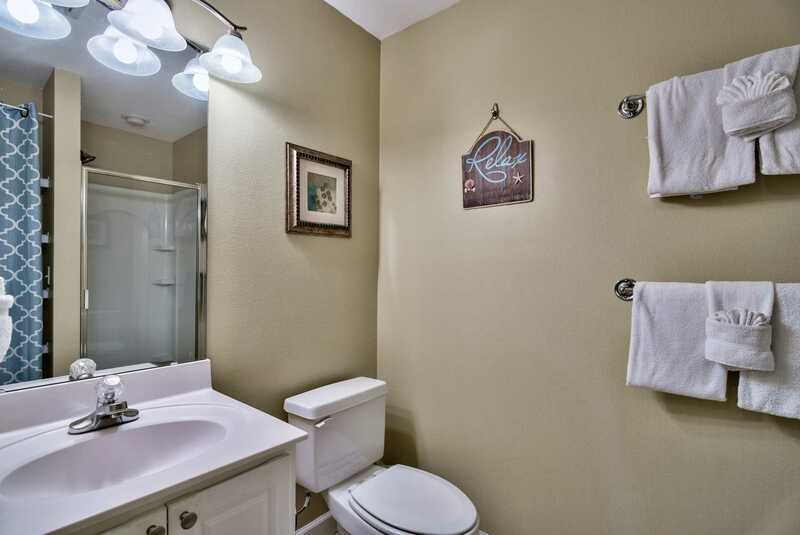 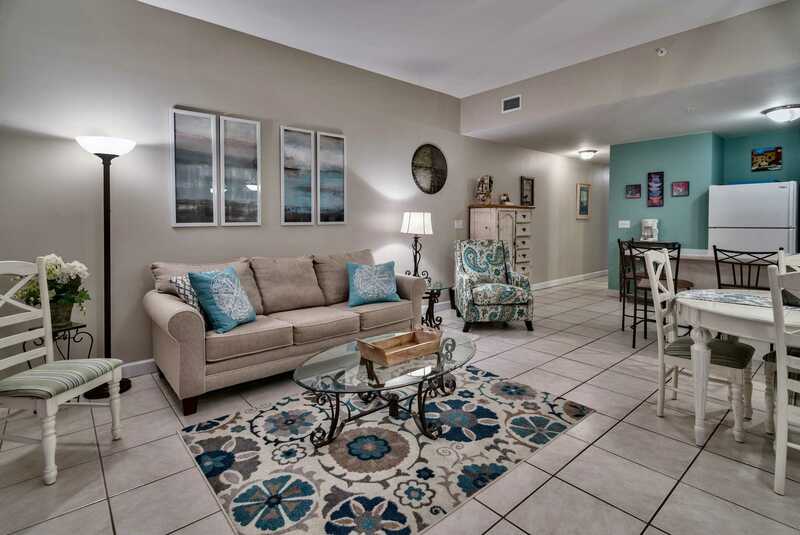 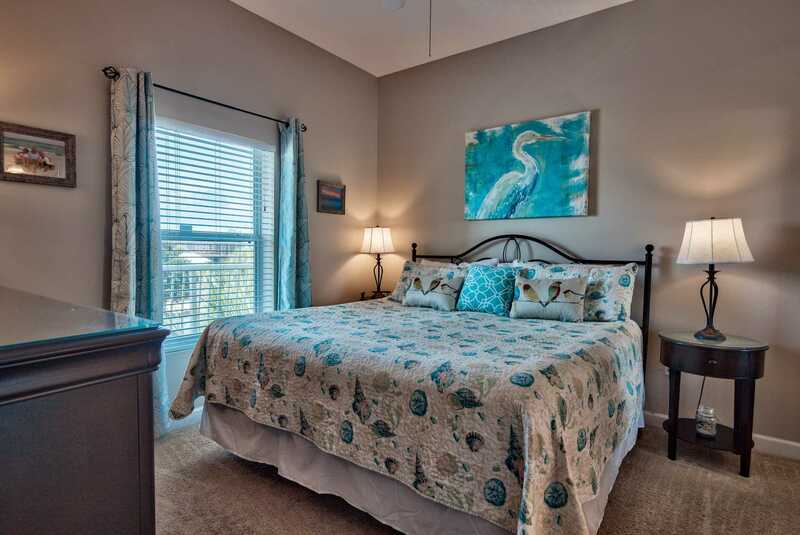 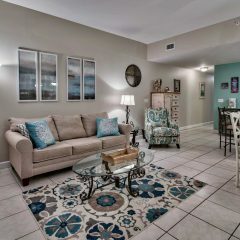 The interior of this unit is exceptional and beautifully decorated. 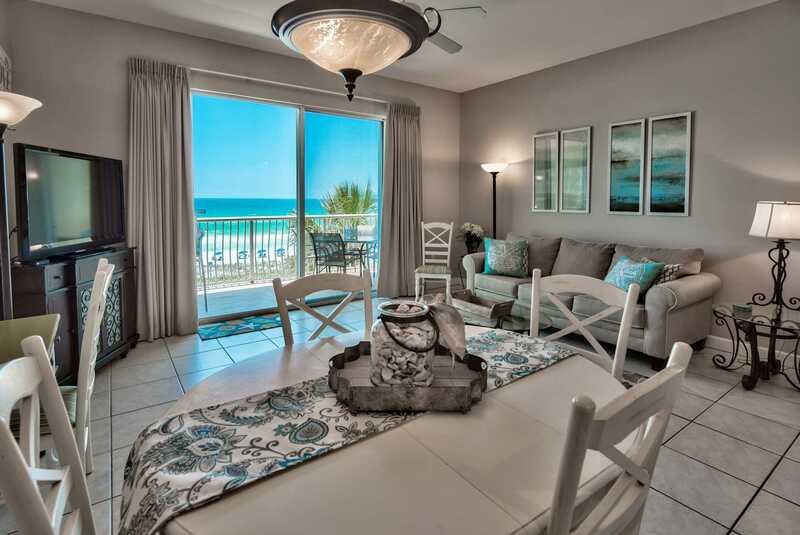 Escape to Beach Retreat unit 305 for your ideal, peaceful g­­­­­­etaway. 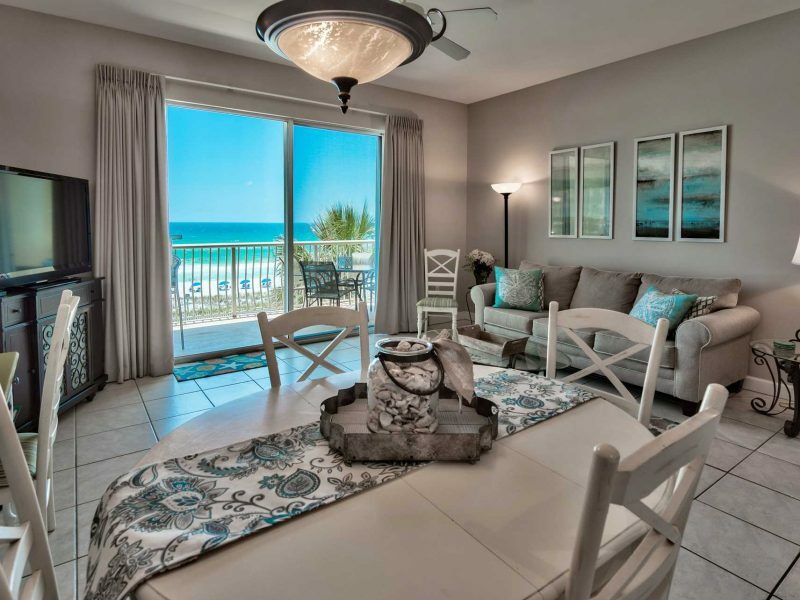 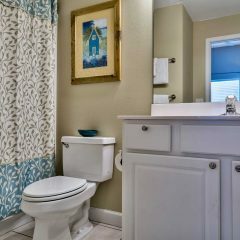 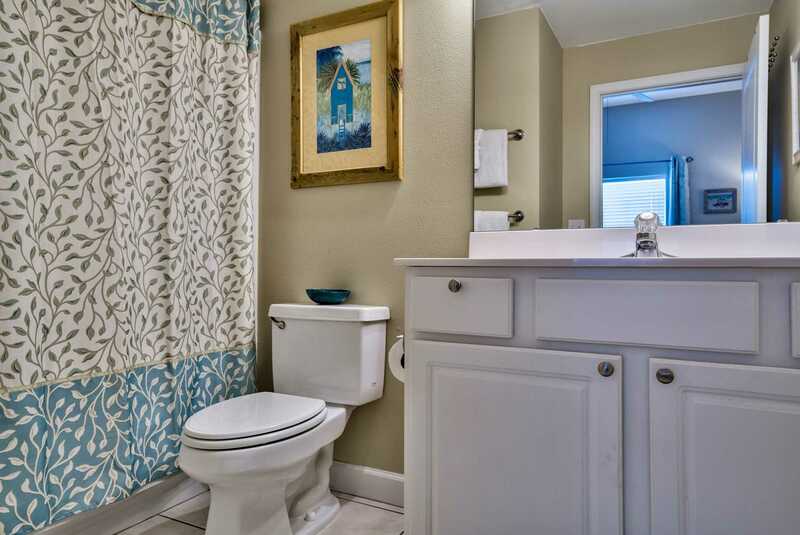 Fresh, clean, simplistic décor makes it simple to ease into beach side living. 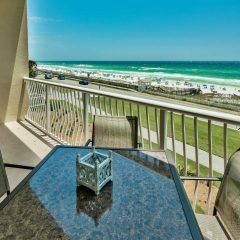 Enjoy the breathtaking, unobstructed, bird’s eye view of the aqua blue gulf and white powder sand beach from your private balcony. 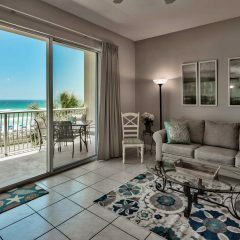 You are likely to catch a glimpse of dolphins in the morning on a calm day. 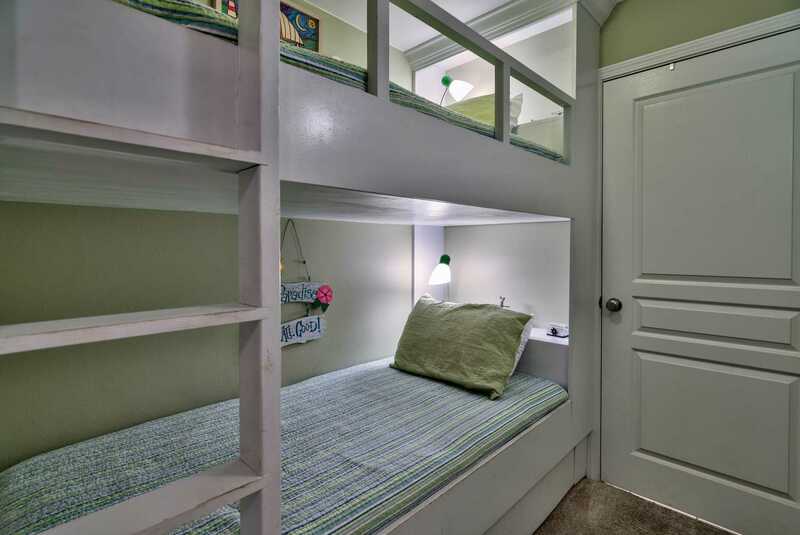 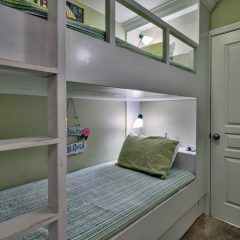 features built-in bunk beds and an entertainment area the kids will love. 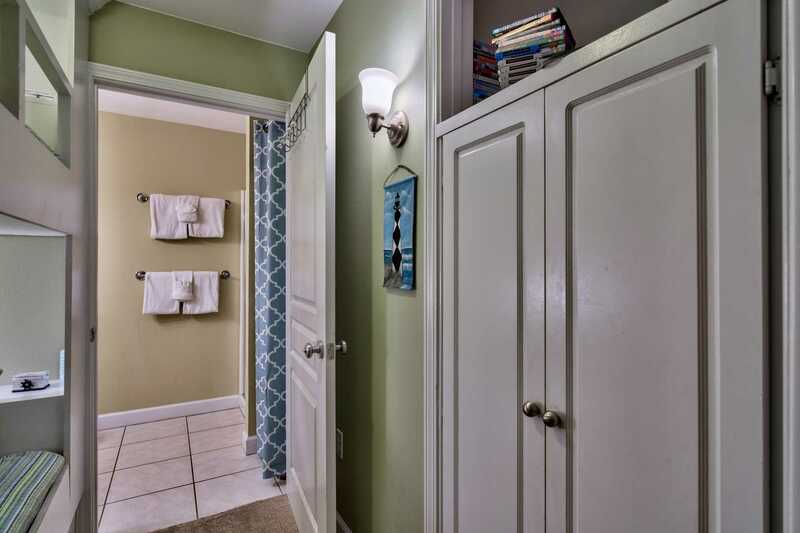 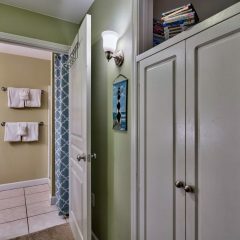 It includes a DVD player, Nintendo game system and access to the second full bathroom. 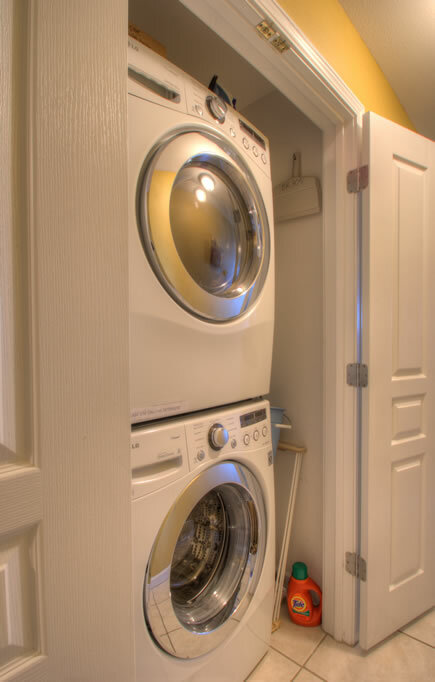 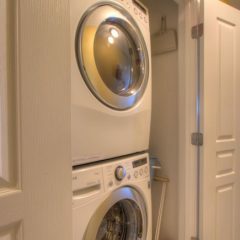 Other features include queen sleeper sofa, full size high efficiency washer and dryer and kitchen pantry closet. 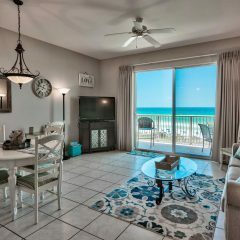 Enjoy all the amenities of the Beach Retreat gated complex and complimentary beach service with two beach chairs and umbrella during season. 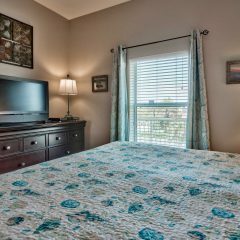 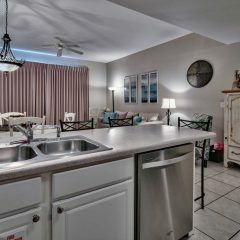 Make our home your haven and you can include your pet. 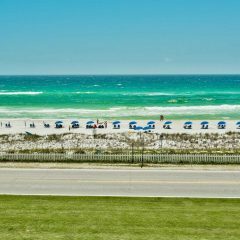 We love to share our slice of paradise with you, so put your flip flops on and enjoy!